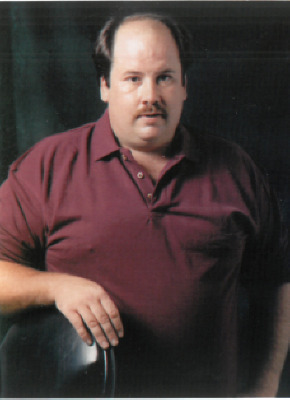 William Patrick Schuck, “Pat,” “Bill,” age 55 of Hartford, Wisconsin passed away Tuesday, March 19, 2019 at the Kathy Hospice in West Bend, WI with his loving mother by his side. Pat was born April 4, 1963 in Hartford, WI to Frances (nee Durkee) and William Schuck. He was an over the road semi-truck driver most of his life. He enjoyed riding his motorcycle with his brother-in-law, Don as well as snowmobiling with him and his nephew, DJ. Pat was an avid Green Bay Packer fan. He loved his family, get-togethers, holidays, and especially loved his niece and nephews who he was very proud of. Pat is survived by his loving mother, Fran Schuck of Hartford; dear sister, Angie Theama of Hartland; dear nieces and nephews, William R. Theama, Donald J. Theama Jr., and Angeline R. Theama. He is further survived by other relatives and friends. He is preceded in death by his maternal and paternal grandparents; father, William; brother, Chris Schuck; and brother-in-law, Don Theama. A Mass of Christian Burial for Pat will be celebrated Saturday, March 23, 2019 at St. Teresa of Calcutta, (W302 N9583 O'Neil Road, Monches, WI 53029) at 1:00p.m. Family will greet relatives and friends on Saturday at the church from 10:00a.m.-12:45p.m. Future inurnment in St. John’s Cemetery in Monches, WI. To send flowers or a remembrance gift to the family of William Patrick Schuck, please visit our Tribute Store. "Email Address" would like to share the life celebration of William Patrick Schuck. Click on the "link" to go to share a favorite memory or leave a condolence message for the family.